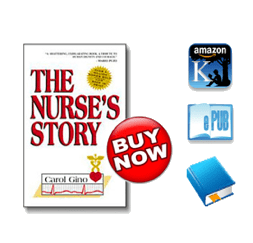 With uncompromising honesty, Carol Gino strips the TV image to reveal the gritty truths of a nurse’s life, from it’s early, optimistic beginnings to the harsh realities – and incalculable rewards – that sustain her even in the face of a nurse’s greatest professional hazard: burnout. How many docs in pain management do you think know this? They’ve thrown all overdoses in the same basket. Wrong! Opioids ordered by docs for real pain should be in a separate study. The is wrong don’t you think? More than 300 healthcare professionals are urging the Centers for Disease Control and Prevention to clarify its opioid guideline, which they say is hurting chronic pain patients. There is a terrible price to the new and ignorant answer to the opioid crisis. We are causing too much pain to those who are already in pain and lowering their quality of life. We swore to do no harm. Why is this not malpractice? Medical research has been corrupted by anti-opioid bias. How do you feel about the way Healthcare or the government is cutting off patients in chronic pain because of the "opioid epidemic". I really want to know.